Hamsters are wonderful pets, and many people prefer them because they are relatively low maintenance and affordable, especially when compared to a dog or a cat. While your hamster may live a perfectly healthy life, sometimes hamster mites can become a problem. Mites are so tiny that you'll never actually see them, but if your hamster becomes very itchy and starts to lose hair, you may need to schedule an appointment with a vet. With the right treatment, your hamster will be much more comfortable. Hamsters can get a number of different mites, explains Squeaks & Nibbles. Mites are microscopic parasites that feed on the hair and oil of a hamster's skin. The most common types of mites are the Notoedres and Demodex mites. Mites can cause a change in your hamster's appearance and behavior. If your hamster has mites, he will commonly lose some hair, and he may be unusually itchy. Because of both the irritation and the increased scratching, your hamster may develop red skin or even a secondary skin infection. Your hamster may develop dry, flaky skin. According to AnimalWised, hamsters almost always have at least some mites on their fur. These mites are so small that you can't see them, and problems usually only arise when an overpopulation of mites occurs on a hamster. These overpopulation issues often occur when your hamster is stressed or has an underlying health issue, creating an itchy, unhappy pet. You'll probably notice symptoms such as hair loss, which can alert you to the fact that your hamster may need treatment. If you can see tiny insects on your hamster, it's more likely that you're seeing hamster fleas. Your vet can help you to determine just what's bothering your hamster. If you suspect mites, PetMD recommends that you bring your hamster to the vet. Your vet will perform a skin scraping and examine it under a microscope to determine if your hamster has mites, fleas, or another problem. Once your vet determines the type of mites that are bothering your hamster, he can make specific treatment recommendations. According to PetMD, in most cases, your vet will have you treat your hamster with a medicated hamster or gerbil mite spray. Sometimes medicated shampoos or ointments can be used. When treating ear mites or Notoedres mites, ivermectin can help to kill off the pests. However, it's very important to make sure that you use the proper dosage for your hamster. Always carefully follow your vet's dosage recommendations, which will be tailored to your hamster's breed and size. If you have other small pets in the home, like other hamsters, gerbils, or guinea pigs, you may need to treat them all for mites. Mites can spread among small animals, so a broad approach to treating for mites in your home will probably be most effective. In addition to treating your hamster, you'll need to treat his environment, too. AnimalWised recommends you completely sanitize your hamster's cage, including toys, water bottles, and food dishes. 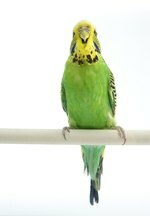 Wash the cage and all of the objects with hot water and soap and then apply an insecticide that your vet recommends. 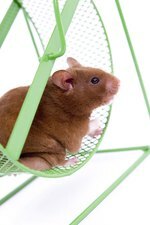 If your hamster spends time in other areas, like in a hamster ball, then these areas will also need to be treated. When treating for mites, it's important to be thorough to prevent reinfestation. Schedule a follow-up appointment with your vet to assess the progress and make sure that your efforts are effective.